Learn how to trigger the Domino Effect in your life for extra-ordinary results. More details below. 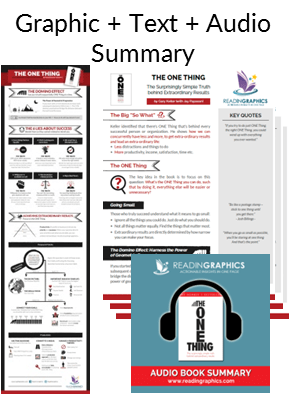 Download The One Thing Summary in pdf infographic, text and audio formats, or preview the book summary via our blog. 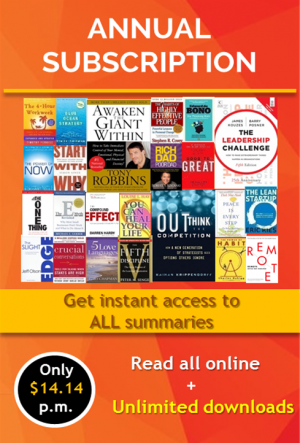 Learn the ONE Thing that can trigger the Domino Effect for extra-ordinary results! 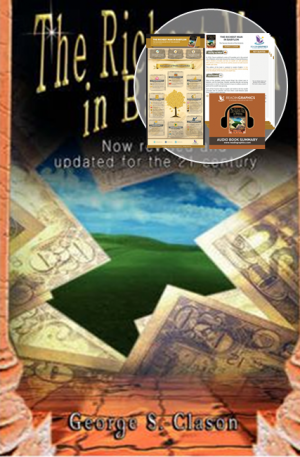 – More productivity, income, satisfaction, time etc. • Learn how to boost your productivity with Time Blocking, the 3 Key Commitments and managing the 4 Thieves of Productivity. As with so many books, some of what was cited and written I have read elsewhere, but I think the major take away for me was their ‘Focusing Question’ which is, “What’s the one thing I can do such that by doing it everything else will be easier or unnecessary?” I love the refined focus this helps us have when we frame any area of our life with this query. It may be big or it may be small but the focus helps us also be true to what we say are our priorities. I like thought provoking books especially those which are easy to read and light in its content. 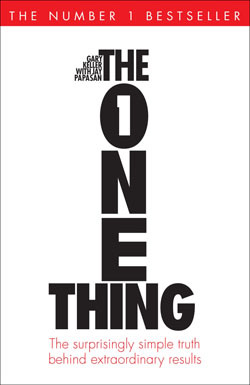 Gary Keller & Jay Papasan’s ‘The One Thing’ fits in beautifully within that framework of being engaging, interesting and substantive. The Book starts off with a beautiful Russian Quote – If you chase two rabbits, you will not catch either one. 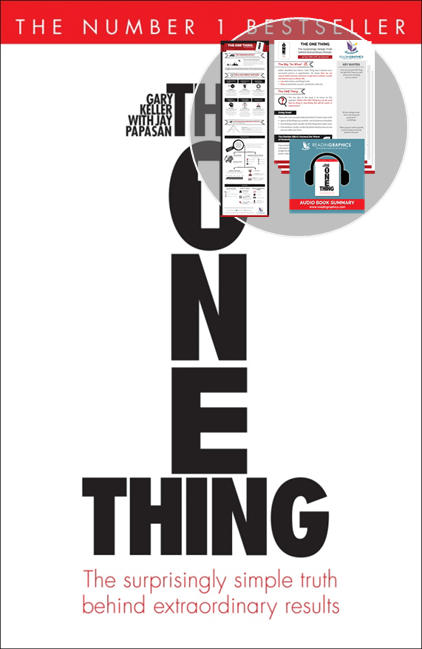 And then the content moves on to revolve around one single theme ‘The One Thing’. 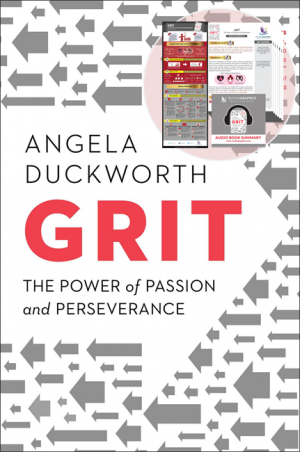 We have books, blogs, apps, pep talks and lots of personal effort. The deck should be stacked in our favor. So how does time end up managing us more than we manage it? 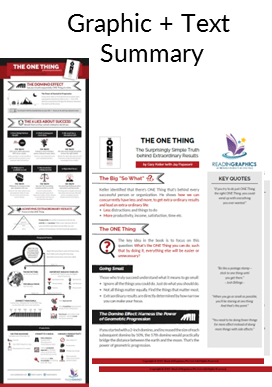 “The One Thing” is the first resource I’ve come across with an answer that works. It helps you move forward with purpose instead of being reactive to stay afloat. The book teaches you to build a big vision, then zoom in to a narrow focus that kills the most birds with one stone. This may not seem impressive, but the way it’s presented helps you TRULY understand. 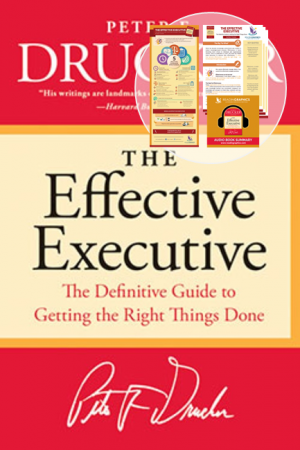 It guides you around landmines like productivity lies and productivity killers. 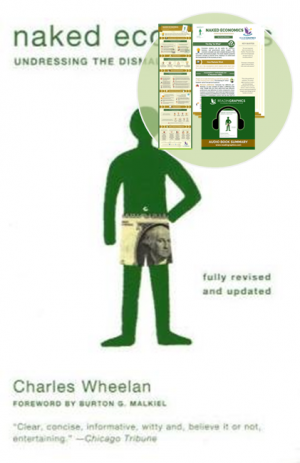 Most importantly, it gives you a plan that’s easy to understand and follow. The genius is in the simplicity. Please don’t let a craving for sophistication get in the way of forward progress toward awesome goals! Remember: people in the ivory tower tend to stay put. This book has earned all fives stars from my rating, and that’s saying a lot. I’m a hard sell.